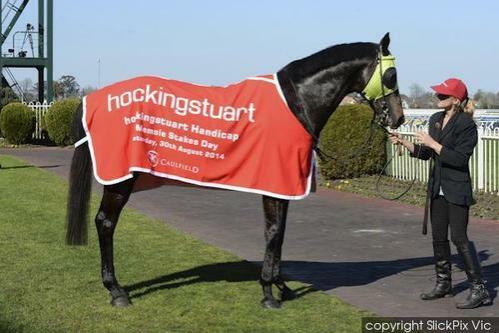 Smart galloper Late Charge made the perfect start to his spring campaign with a fighting win in the Hocking Stuart Handicap (1200m) at Caulfield. Late Charge is an entrant for the Cox Plate, which meant his first-up victory was important, as it will cause his handicapper’s rating to rise to get him into better races. “This opens up a plethora of races for him,” Late Charge’s trainer Wendy Kelly said. Late Charge was placed at Group 2 level in his autumn three-year-old campaign but dropped a long way in class to begin his four-year-old season in Benchmark 78 company. However, Late Charge found himself in an unusually strong restricted race but did a terrific job to beat a smart field in convincing fashion. Jockey Vlad Duric rode Late Charge aggressively, sending him to share the early speed before the entire was left in front when his co-leader punctured at the 300 metres. Late Charge defied a number of challenges in the straight to score by a head, giving the son of Hard Spun his first win since joining the Kelly stable last spring. “We picked this race out as the race we wanted to start, he’s had two good trials under his belt and Vlad (Duric) rode him perfectly,” Kelly said. Congratulations to all involved with Late Charge’s terrific win, which was his third in nine starts and pushed his earnings to more than $160,000.